Eye Care Directory offers up-to-date information about the optical eyeglasses stores and eye doctors for your vision needs in the Fordingbridge of Hampshire. You may arrange an free eye exam, buy prescription eyeglasses, RX sunglasses or donate your old eyeglasses by using the contact information in the directory. Do big eyes make you look younger? Big eyes present a sense of intelligent, bright, most importantly, they present the feel of energy. And you are right, big eyes do make people look younger. So most of people like to use makeup like eyeliner and eye shadow to make their eyes look bigger. There are some women even choose to get cosmetic surgery to perpetually change their small eyes form to big eyes. For me, a people look good because of their confidence, and the sense their eye conveyed. So the color or seize mean little to me. Can i wear contact lenses if i have glaucoma? Most individuals with glaucoma can wear contact lenses without any difficultly if they wish. If you have glaucoma and wear contact lenses or might wish to in the future, please discuss this issue with your ophthalmologist. Is glaucoma considered a disability? It depends. As we know, glaucoma is a serious eye problems that caused by damages in the nerve fibers of the retina and optic nerves. If you let it untreated, it is probably lead to permanent vision loss. And the consideration of disability depend on then extent of the glaucoma. For people who have already lost a significant amount of peripheral vision can apply for disability so that to get disability benefits. Are watery eyes a symptom of swine flu? If you get the swine flu, you will have to get the watery eyes. Your eyes will feel dry easily. You could also feel itchy at that time. The watery symptom can't be controlled by yourself. You need to use some eyes drops with anti-inflammation to make your eyes feel comfortable. You should also take the medical care to cure the swine flu. They are different kinds of conditions. Bulging eye is the eye protruding from socket where it should be in for swelling of fat, tissue or muscle behind the eye. It can happen to one eye or both eyes. Because the swelling of tissue behind eyes, eyeballs are more protruding out, for space lesions. Because the cornea is more exposure to air than normal, so it makes eyes very dry and sensitive. Bulge could cause great pressure on optic nerves which might lead to vision loss finally. It is usually connected with some serious conditions, for example glaucoma, hyperthyroidism, leukemia and so on. The symptoms of bulging eye include extremely dryness and redness of eyes, protruding appearance of eyes and visible whiteness between the top iris and eyelid. As to swelling of eyes, it is usually connected to some disease, such as allergies, conjunctivitis, eye infections, styes and blepharitis. There are some daily movements which might cause eye swelling too, for example crying, poor sleeping and too much sodium in diet. It can be swelling eyes or eyelids. It is totally different appearance of the two diseases. Bulge is much deeper than simple swelling. Dryness is not a common symptom of swelling, on the contrary, swelling eyes can be watering. Hope this could help you. What sunglasses lens should i get for motorcycling? I think to choose a right pair of sunglasses lenses is quite important for motorcycling. Firstly, you need to choose the dark-colored lenses that can perfectly block the harmful UV and dazzling sunshine . 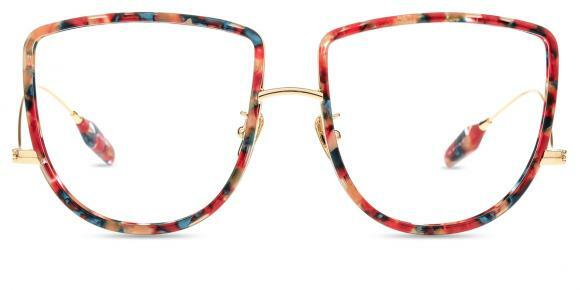 They're cool to look and can make your eyes feel more comfortable when we're exposed to the sun. Then, you should choose the lenses that are bigger in sizes. Because they can cover and protect more skin around our eyes. How to keep contact lenses from moving? Contact lenses are rinsed and coated in the eye's tears as they are worn, and they are made to "float" on the eye. As a result of this floating a small amount of lens movement as the eye shifts and moves is considered healthy and normal. Because contacts float on the eye, blinking can cause them to move around. Contacts usually move several millimeters each time a person blinks, and then automatically 'recenter' and float back to the correct position over the pupil. What are the benefits of wearing cycling glasses? cycling glasses, also cycling sunglasses or cycling goggles, are specially made when people riding bike. 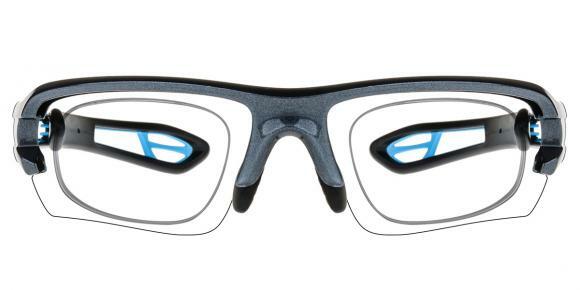 The cycling glasses are worn for providing UV protection, filtering glares as well as preventing wind and debris in the air, thus to shield the eyes from any damages during riding. Besides, for people with poor vision, prescription cycling glasses also provide vision aids to help them see clear so as to avoid dangers on the road. Can I get polarized prescription sunglasses? Yes, you can get polarized prescription sunglasses. Now, buying prescription polarized sunglasses can be easy deal in most of online sites where sell eyeglasses. As far as i know, Firmoo.com have polarized sunglasses that can be made according to your prescription. Besides, their prescription polarized sunglasses are good quality and at a low prices. It is worthy to try.